Fig. 1. A photograph of Helena Smith Dayton from August 1914. Fig. 2. Many contemporaneous articles featuring Dayton’s work trivialized her achievements because of her gender. This photo, for instance, is taken from an article entitled, “Woman’s place, if you insist, is in the home; but who’s going to fuss about it if she wants to earn $10,000 or so a year somewhere else?”. 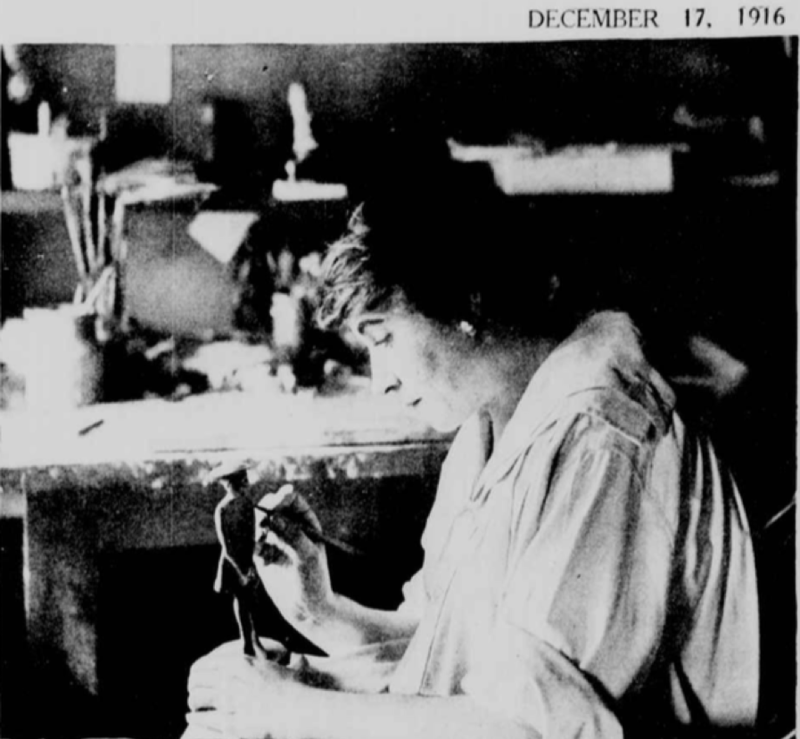 The tragedy in this case is not Juliet’s demise, but rather that much does remain to be said of Helena Smith Dayton, a once-renowned sculptor, author, journalist, suffragette, illustrator, and pioneering motion picture animator long obscured by film history. In a longer article, I explore the variegated reasons for Dayton’s marginalization, including her gender, the politics of film archiving, and the methodological blind spots engendered by an over-dependence on formal analysis on extant films. However, the editors at Animation Studies 2.0 have also revealed themselves to me as enthusiasts of Shakespeare by enforcing a word count reflecting their belief that “brevity is the soul of wit,” so I’ll cut to the chase: Dayton’s films have not been permitted to speak for themselves because they have not yet been found. I resist describing them as “lost” because, as attendance at the Orphan Film Symposium has taught me, they might very well be frozen in a lake, collecting dust in the backroom of a museum, or on the brink of spontaneous combustion in a muggy Floridian attic (hopefully not). Fig. 3. One of several extant photographs of Dayton’s animated films. Fig. 4. Another extant photograph of Dayton’s animated films. Fig. 5. 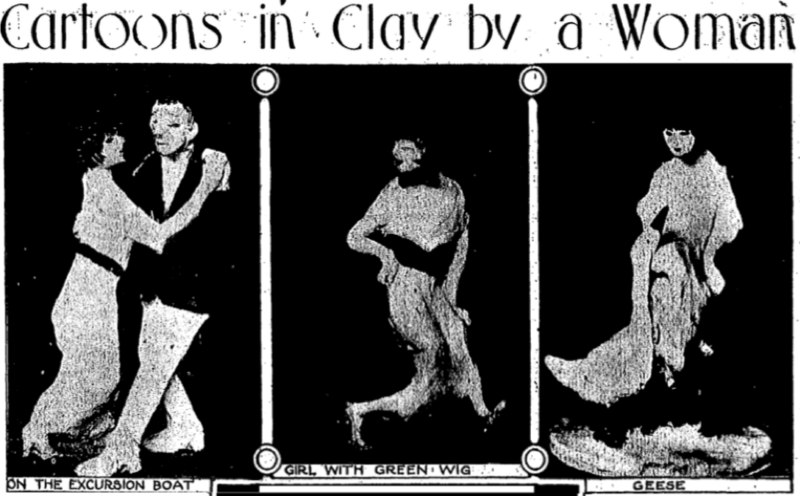 Dancing clay figures by Dayton. Though articles in The New York Times, New York Tribune, Motography, Scientific American, and Moving Picture World variously heralded Dayton’s aesthetic as “highly amusing” and “quite baffling to the laymind,” her career as a stop-motion animator was unfortunately short-lived. A few months after achieving the right to vote in New York in November 1917, Dayton took up a new cause by relocating to Paris to manage a prominent YMCA canteen for soldiers. Upon her return to America after the First World War, Dayton pursued work as a columnist, novelist, playwright, and portrait painter. Jason Cody Douglass is a Ph.D. student in Yale University’s combined program in Film and Media Studies and East Asian Languages and Literatures, as well as the graduate program in Women’s, Gender, and Sexuality Studies. His interests include the aesthetic and technological histories of animation in East Asia, Japanese popular culture, and the intersection of film theory and practice. In 2018, his article “In Search of a ‘New Wind’: Experimental, Labor Intensive, and Intermedial Animation in 1950s and 1960s Japan” received the Maureen Furniss Award for Best Student Paper on Animated Media. 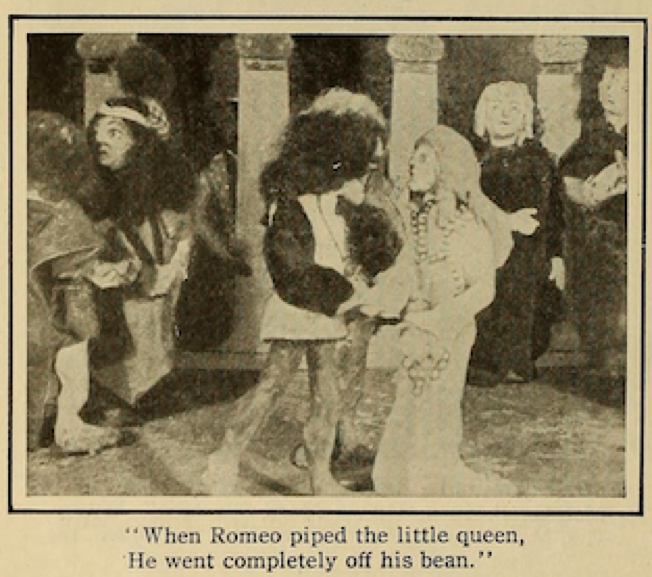 “Romeo and Juliet – In Clay!,” Film Fun, November 2, 1917, p. 434. “Prominent Sculptor in Film,” The Moving Picture World, November 24, 1917, p. 1164. “Statues that Run, Dance, and Fight,” Popular Science Monthly 90.2, February 1917, pp. 257-258. “Sparks from the Reel,” Detroit Free Press, March 25, 1917, p. C13. 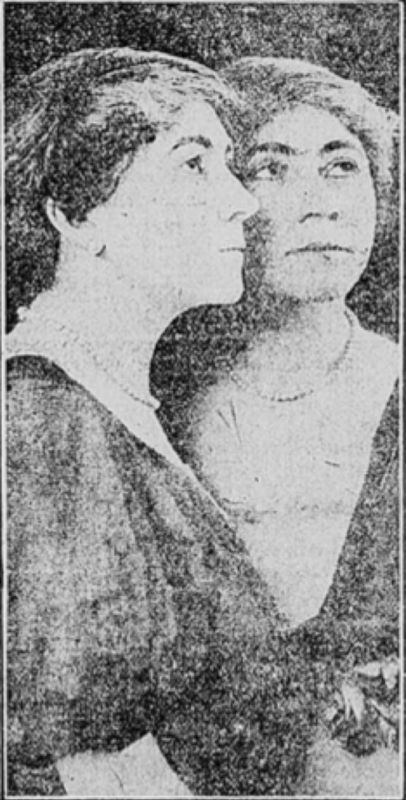 “On the Screen,” New York Tribune, March 26, 1917, p. 11. Paolo Cherchi Usai, “The Lindgren Manifesto: The Film Curator of the Future,” Journal of Film Preservation 84, 2011, p. 4. Thanks so much for this article – I’m really pleased to now know about Helena Smith Dayton and your piece addresses many of the important issues around gender and animation historiography. I agree with Bella about your article, which is much needed. However, it occurred to me that in addition to her gender, Dayton’s neglect might have been aggravated by her working in stop-motion, which has historically been marginalized in the American animation community.